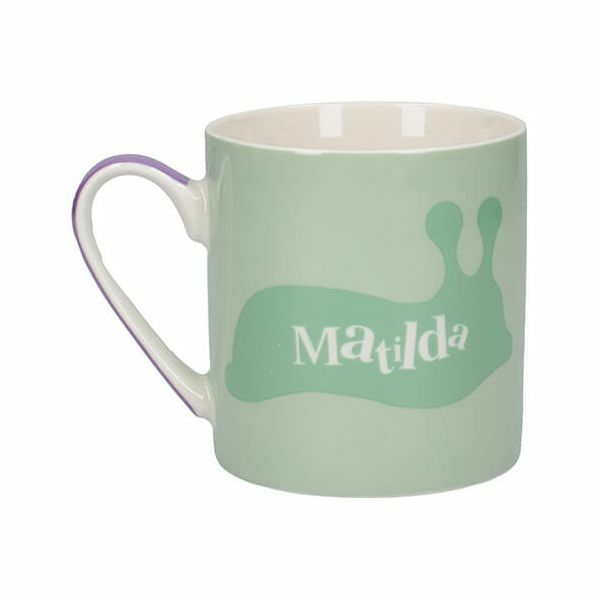 This pretty mug is ideal for serving tea and coffee and features the stories of Matilda on a pea green background and a purple band on the handle. 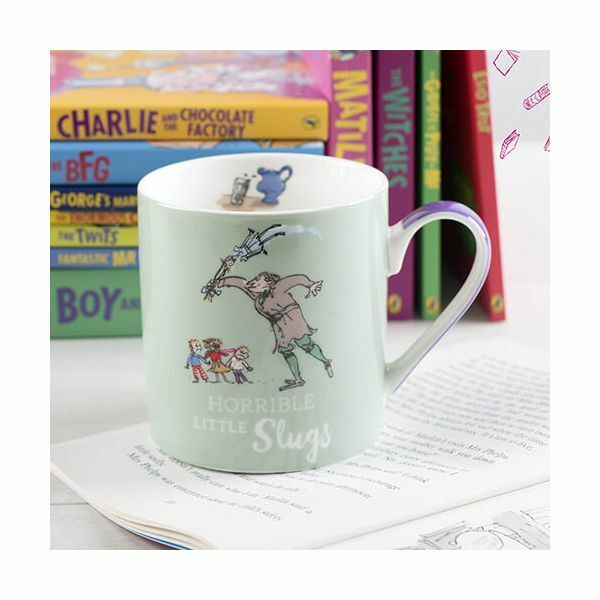 Made from fine bone china the illustrations appear inside and outside the mug including the base. 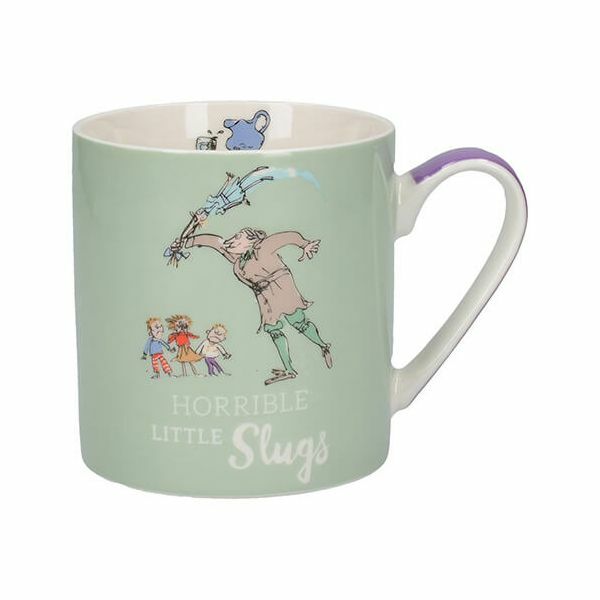 Miss Trunchbull features on the side of this illustrated mug with the words 'Horrible Little Slugs' aimed at her students.